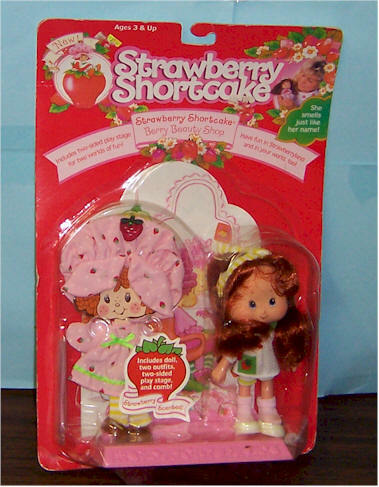 1991 Strawberry Shortcake Dolls by Toy Headquarters (THQ) - Orange Blossom, Strawberry Shortcake, Raspberry Tart, Lime Chiffon. 1991 Blueberry Muffin Dancin Berry Fun. Includes two-sided play stage and two outfits. Glued the cellophane back to the card board. 1991 Orange Blossom Dancin Berry Fun. 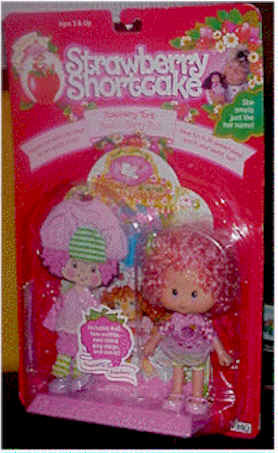 Includes two-sided play stage and two outfits. 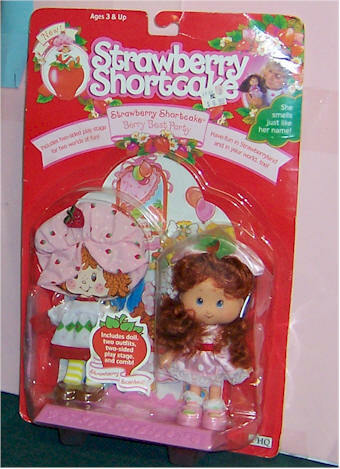 1991 Strawberry Shortcake Berry Beach Park. 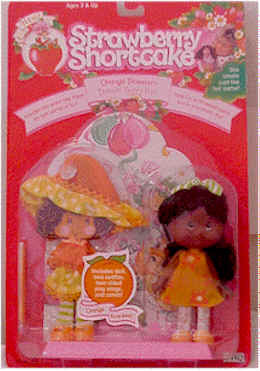 Includes two-sided play stage and two outfits. 1991 Raspberry Tart Rock n' Berry Roll. Includes two-sided play stage and two outfits. 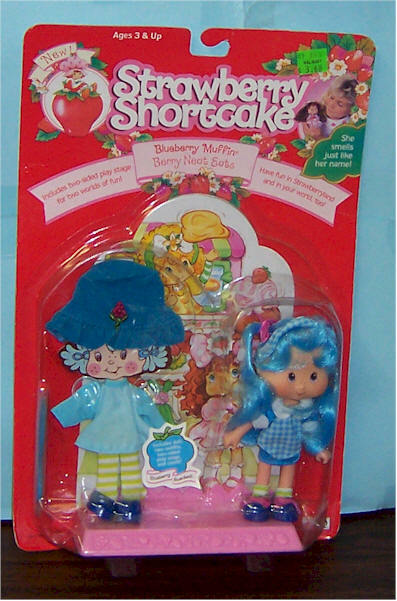 1991 Strawberry Shortcake Berry Sweet SleepOver. Includes two-sided play stage and two outfits. Packaged open on one side, but never taken out. 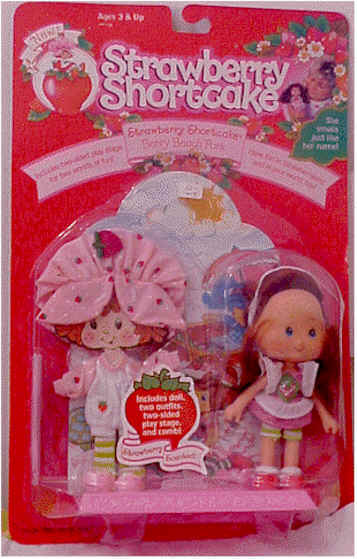 1991 Strawberry Shortcake Berry Best Party Includes two-sided play stage and two outfits. Packaged open on one side, but never taken out. 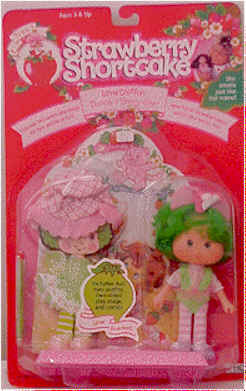 1991 Lime Chiffon Dance N' Berry-Cise. Includes two-sided play stage and two outfits. 1991 Berry Bake Shop. Includes two-sided play stage and two outfits. 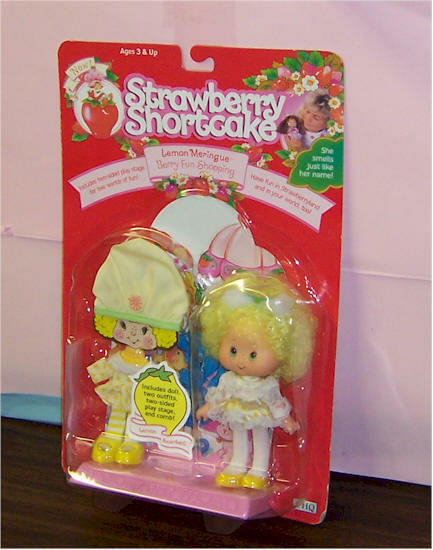 1991 Lemon Meringue Berry Fun Shopping. Includes two-sided play stage and two outfits.